A Douglas resident’s attempt to rob a Gold Coast bank last week failed when the teller walked away, and he waited around long enough for police to arrive. Police said 57-year-old Kerry McCoy walked into the Bank of America at 1167 North State around 3 p.m. last Wednesday and handed a note to the teller. But when the teller finished reading the note, she tripped a silent alarm and walked into the back office. Meanwhile, McCoy continued to stand at the teller window, possibly expecting the cashier to return with bags of free loot. 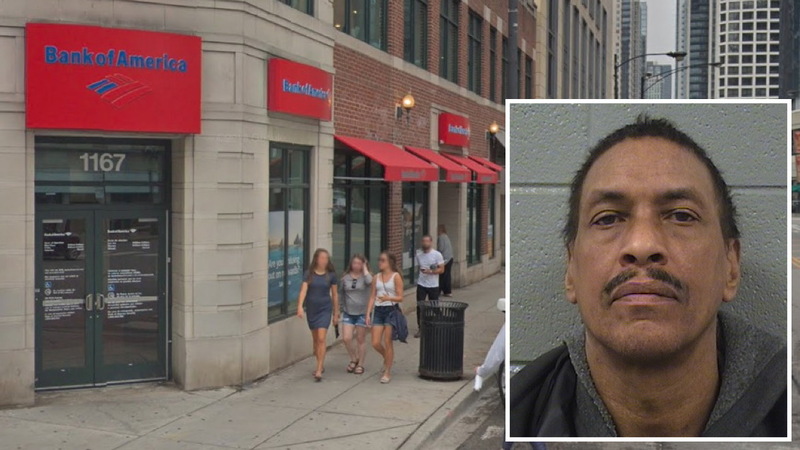 Instead, 18th District police officers arrived and detained McCoy because he matched the bank robber description that had been broadcast on CPD radios. Bank employees confirmed that they had the right man. McCoy is charged in state court with felony robbery of a financial institution. Judge David Navarro ordered him held without bail.